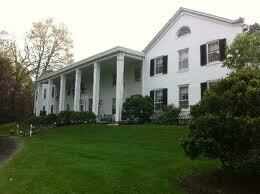 Are you looking for a spooky place to rest while visiting the Mountain State? West Virginia is full of historic hotels, creepy motels, and beautiful, old bed and breakfasts---many of which claim to have a resident ghost or two! Since today is the season premier of American Horror Story: Hotel, I thought I would share with you some of MY personal favorite places to stay in West Virginia where your room might come with a little more than just a mint on the pillow...Lady Gaga not included! 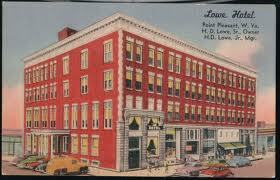 Lowe Hotel---The Lowe Hotel seems to be the central point for all things spooky in the little Ohio River town of Pt. Pleasant. Its THE place to stay during the annual Mothman Festival, at which time haunted history tours of the hotel, which opened in the early 1900s as the Spencer Hotel, are given. Various ghosts haunt the old hotel, including Juliette Smith--a beautiful young woman seen dancing on the mezzanine, and Captain Jim, who causes disturbances to guests staying in Suite 316. 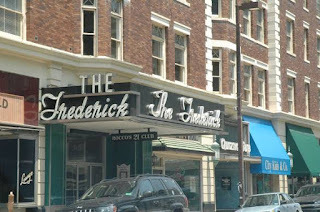 Frederick Hotel---The Frederick Hotel in downtown Huntington officially opened to the public in 1906, and until it closed in 1973, was one of the most lavish, expensive hotels in the city. 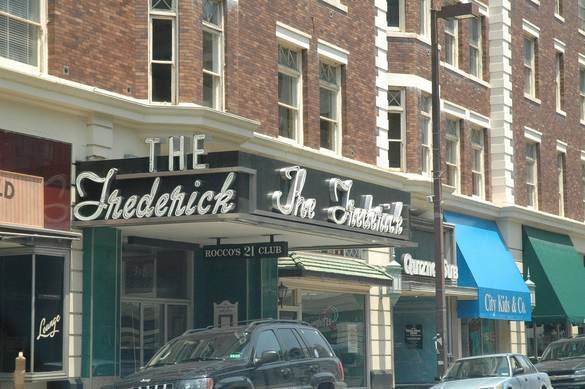 Unfortunately, you can no longer stay at the Frederick, but you CAN visit one of its fine restaurants, shop in one of the retail stores, or visit/work in one of the office suites that now occupy the former glorious hotel. That still gives you plenty of opportunity to experience the ghosts, including two children who are said to frequent the site of the 21 Club Restaurant, and whatever entities that jangle keys, cause cold spots and are responsible for all manner of paranormal activity throughout the former hotel, especially on the sixth floor. 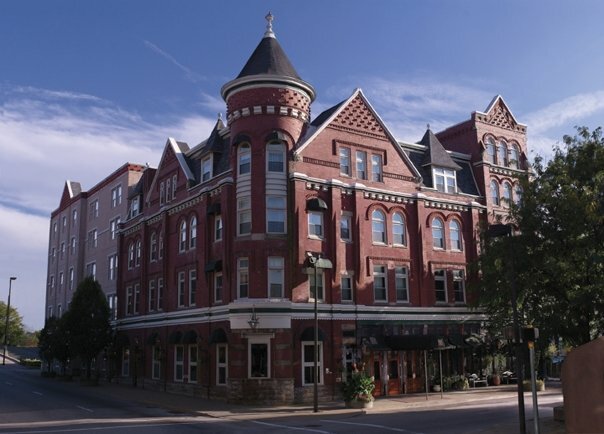 Blennerhassett Hotel---Built in 1889 by William Chancellor, this Parkersburg hotel is a beautiful example of Queen Ann architecture. It's also a beautiful example of what a haunted hotel should be! The Blennerhassett serves as the meeting point for Susan Shepperd's Parkersburg Ghost Tours, and for good reason. William Chancellor is known to frequent his hotel, emitting a phantom smell of cigar smoke, or manifesting a weird glow in his own portrait in the front reading room. Other ghosts include a man in a white tuxedo, a sobbing woman, and a little boy from the 1920s era...among others! General Lewis Inn---The General Lewis Inn of Lewisburg opened in 1929 and was built around an existing structure that dated to about 1834. At least three ghosts call the General Lewis Inn home, including a former slave named Reuben who was believed to have been hanged where the current dining room sits, a little girl who is heard crying or laughing in room 208 or 206, and the Lady in White of Room 208. Wells Inn---The Wells Inn of Sistersville has been in business since 1895, and was built as a luxurious hotel in response to a local oil and gas boom. Former owner Ephraim Wells is allegedly the main (and possibly ONLY) ghost to reside at the Wells Inn. Mr. Wells likes to move items around and create unexplained noises throughout the hotel. He is especially fond of room #324 and his former office on the second floor, where he can still be heard writing to this day.